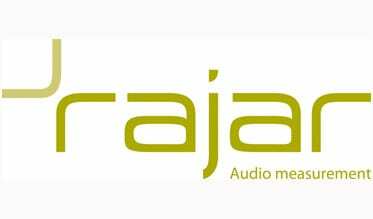 Digital listening surged beyond the 50% threshold to reach a new record share of 52.4%, up from 48.8% in Q3 2017, boosted by exceptional growth to in home listening on line and via Apps alongside strong growth to DAB listening in car, according to RAJAR Q3 2018 data released today. Total digital listening hours grew by 5.4% year on year, or 27.5 million hours. DAB listening in cars accounted for 11 million hours (or 40%) of all digital listening growth, while listening in home via online/Apps accounted for 13.5 million hours (or 49%) of all digital listening growth. The surge in digital listening was supported by growth in national digital listening which exceeded 60% for the first time at 60.9%. The most popular digital-only station remains BBC 6 Music with a weekly reach of 2.52 million listeners, followed by KISSTORY, the most popular commercial digital-only station, with a new record reach of 2.16 million listeners, a growth of 18.4% year on year. Other record-breaking station performances include BBC Radio 5 live sports extra, which grew by 1.8% year on year to reach 1.67 million listeners; Smooth Extra, which grew by 30% to reach 1.16 million listeners; and Absolute Radio 90s, which grew by 21% to reach 913,000 listeners. Radio X, which has 79% of its listening via digital platforms, grew by 13% to reach a new record of 1.72 million listeners. Other strong station performances include Heart 80s, which grew by 25% to reach 1.36 million listeners; Heart extra, which grew by 49% to reach 681,000 listeners; Jazz FM, which grew by 15% to reach 657,000 listeners; Magic Soul, which grew by 50% to reach 355,000; and Magic Chilled, which grew by 24% to reach 336,000. A number of major national dual transmission stations now have the majority of their listening via a digital platform, including BBC Radio 4 (52%); BBC Radio 3 (54.7%); Classic FM (50.3%); LBC (56.8%); Kiss (66.1%;) and talkSPORT (54.3%); while BBC Radio 2’s digital platform share has increased to 47.6%. DAB remains the most popular digital platform, accounting for a record share of 38.1% of all radio listening or 72.6% of all digital listening. 64.1% of the population now own a DAB radio at home compared to 61.6% in the same quarter last year. Listening hours via online/Apps grew by 18.5% year on year to now account for 9.6% of all radio listening and 18.4% of digital listening. In home listening via online/Apps grew by 13.5 million hours or 25%, a reflection of the growing popularity of smart speakers. Meanwhile, listening via digital television, 90% of which is in home, declined by -5% year on year to account for 4.7% of radio listening and 9% of digital listening. In car digital listening reached a new record share of 36.5%, a growth of 11.7 million hours or 15.5% year on year, supported by an additional 600,000 new vehicles with DAB as standard that were registered in Q3 2018 (CAP/SMMT).